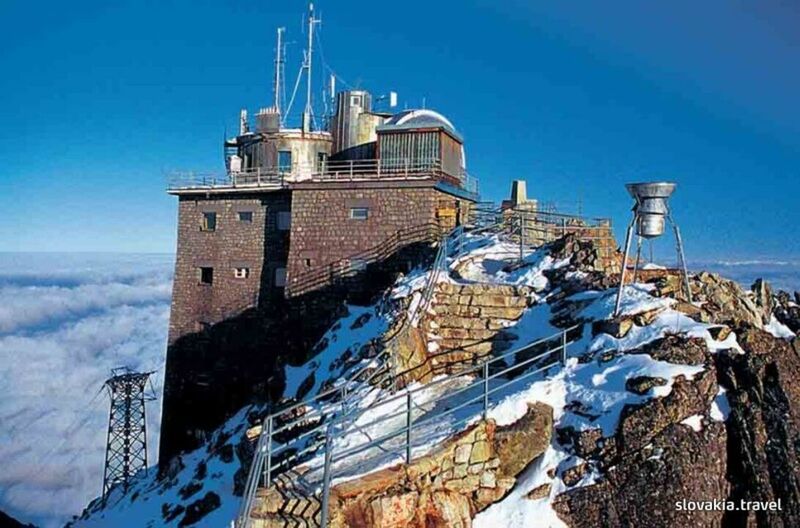 The top of the peak Lomnický štít in the mountain range Vysoké Tatry is the ideal place for valuable meteorological and astronomical research and measurement. The building from 1940 was constructed along with the rope funicular and it is a remarkable technical structure. Regular meteorological observations are carried out here since 1940. In 1962, the astronomic centre of employees of the laboratory of physics and cosmic radiation, part of the Institute of Astronomy of the Slovak Academy of Science was established at Lomnický štít. Opening of the astronomic observatory at Skalnaté pleso in September 1943 preceded its establishment.